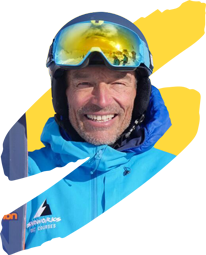 Lee Townend, Snoworks coach and director of Snoworks GAP, with partner Katie headed out to Kyrgyzstan for the Silk Road Mountain Race challenge and to take a look at this stunning country with the plan to return this winter to lead Snoworks inaugural Kyrgyzstan Ski Touring Adventure. It was only 1,700km! 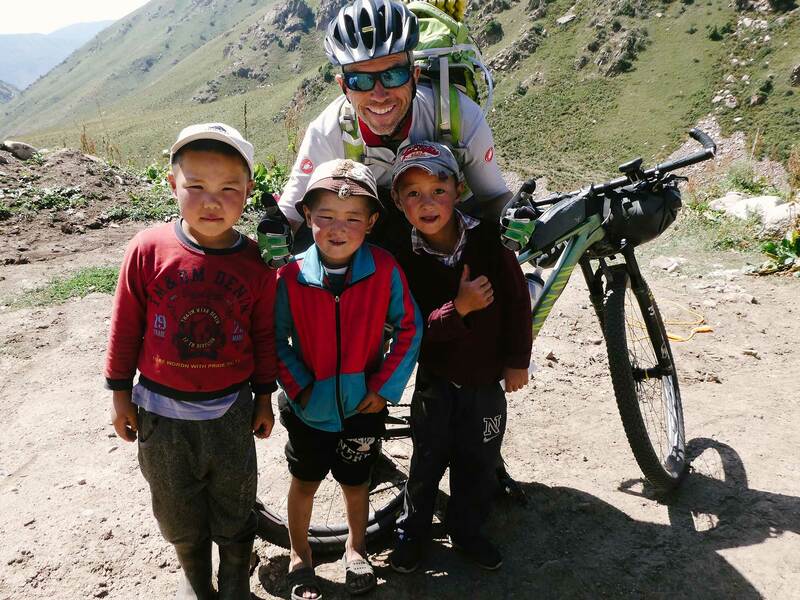 With two-thirds of competitors not even finishing the inaugural 1,700km race across the mountains of Kyrgyzstan, it turned out to be more of a survival race than a bike race! 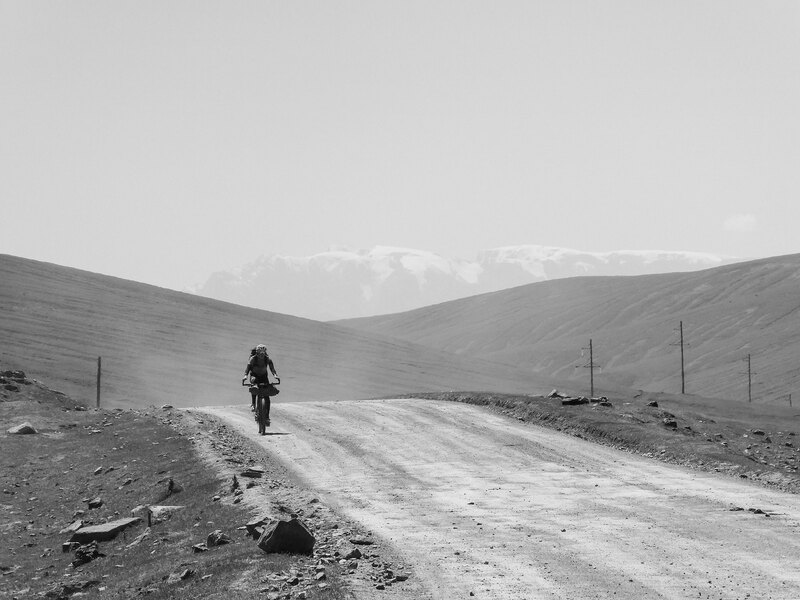 The inaugural Silk Road Mountain Race was a fixed route, self-supported, single-stage off-road bike race through the spectacular but brutal mountains of Kyrgyzstan. On the 18th August 2018, just shy of 100 international competitors set off from the start line, with only 29 finishing! 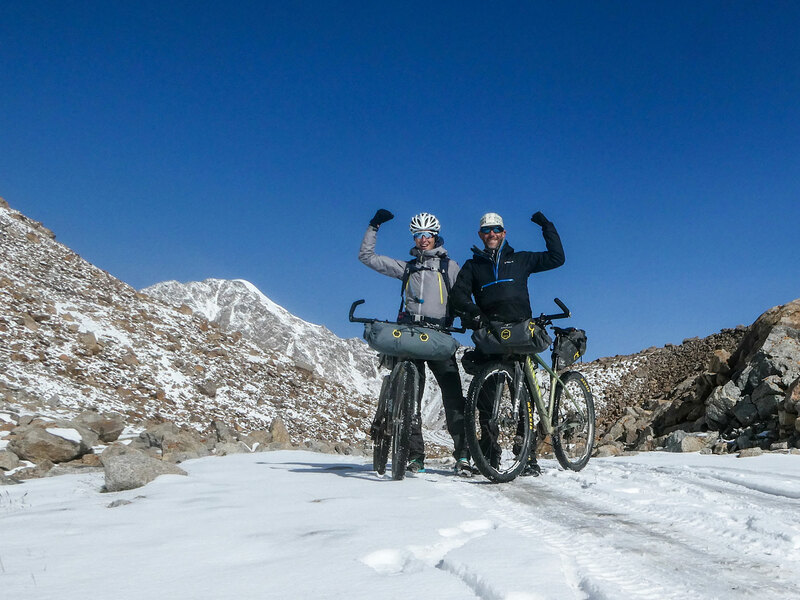 We rode, hiked and scrambled across gravel, deserts, bog, 4000m peaks, horse tracks and old Soviet roads that have long fallen into disrepair, and endured 27,000 metres of climbing. We battled sweltering heat of 40 degrees Celsius, to snowstorms and lows of -12, freezing everything from our brake fluid to our shoes. At times we were on a desperate quest to find water, other days we were carrying our bikes through deep fast flowing rivers trying to not get swept off our feet. There were very limited options to re-supply along the route, no bike shops if something breaks and no mountain rescue teams if something goes wrong. For all these reasons, we loved it. 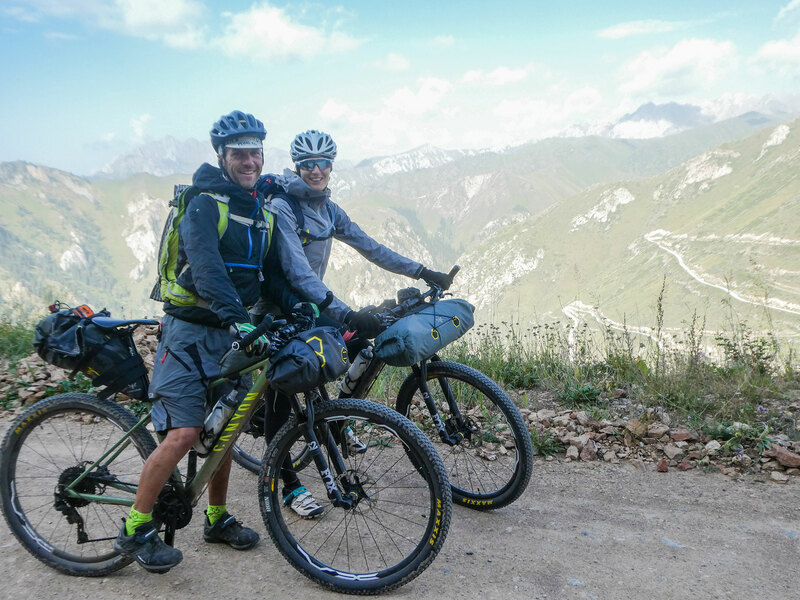 The race was everything we expected it to be from reading the race manual and our research into the Kyrgyzstan Mountains and therefore it was everything we wanted it to be. It was challenging of course. Riding as a pair, my partner Katie and I finished the race in 14 days, 1 hour and 24 minutes. We finished 23rd overall and 1st pair. With only a third of the field finishing (and only 3 women out of 25), people have been quick to ask what caused so many people to drop out of the race and what helped us complete? There were a number of reasons so many people scratched; extreme weather and lack of suitable equipment, illness from food/water or altitude, an element of bad luck with things like mechanicals and lack of spare parts, and just the simple fact that people were ‘done’! It had been harder than they expected, they didn’t want to suffer any more, they had just had and seen enough to call it a day. We were well prepared when it came to our kit. We took a tent and ultra light sleeping bags designed for -10 to -15c, allowing us to sleep well and recover for an average of 7 hours each night. We carried a medical kit, probably the size of everyone else’s put together, which included three types of antibiotic, a ‘Quickclot’ to stop traumatic bleeding, Diclofenac for inflammation and much much more. We pumped and tablet purified every drop of water we drunk. We predominantly ate our own food and did not take the generous hospitality from the locals in a bid to not get sick. We rode mountain bikes with front suspension making for a more comfortable ride. And perhaps most importantly, because we were riding to ‘complete not compete’. Kyrgyzstan as a country was nothing short of incredible. We just loved the vastness and remoteness. The landscape varied so greatly from barren cold deserts to lush alpine forests. As you summited each mountain range you descended to terrain completely different from the one before. It was epic in the true nature of the word. Kyrgyzstan would have even the biggest of home lovers addicted to adventure. The only thing that might rival those views would be the people. What a wonderfully friendly and generous nation. The adults greet you with a warm smile, want to shake your hand, then just carry on with their life, the kids give you a high 5 or race you on their bicycles. Over the 14 days, there were of course some tough times psychologically. These for me were the long monotonous sections of endless stretches of gravel washboard, where all you could do was weave from side to side desperately trying to find a moment’s relief from the shuddering. Whereas the more ‘technical’ difficult sections were usually so spectacular that your mind drifted off from the fact you were about to push and carry your bike continuously uphill for the next 6 hours, by the sheer WOW factor of the landscape, giving you such a high that you can do nothing but stare and smile. 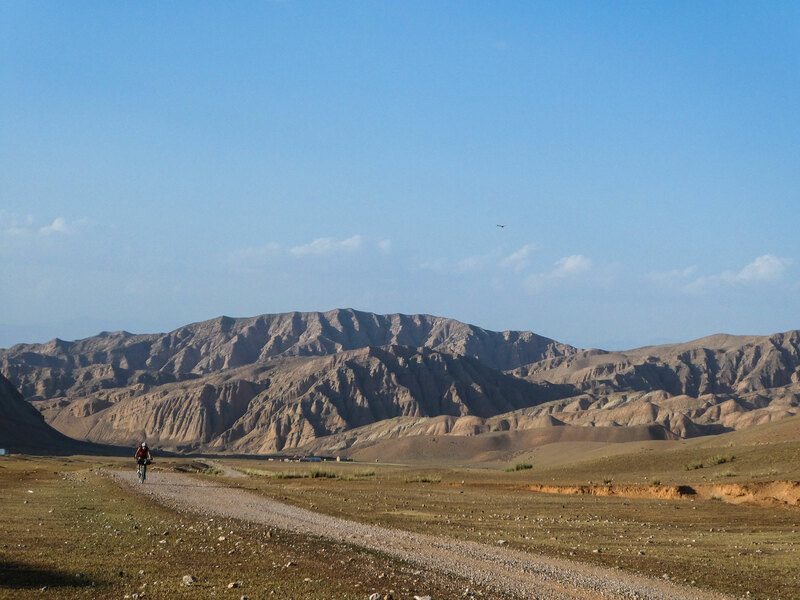 There was something very special about this being the first Silk Road Mountain Race. It was an unknown to us all, making it a true adventure. We were a bunch of riders who perhaps all have a little touch of the ‘crazy’ within us and an unexplainable desire to test our limits and be prepared for anything. It is human nature that once something has been done once there will then be people who will want to do it faster and do it better, and so they should. Next years riders will have access to all the images, videos, write-ups, and kit lists from this year. With this knowledge, they will be able to ride more strategically, and no-doubt quicker. They also may be able to stand on the start line with a little less of that ‘fear of the unknown’ churning away in their belly. 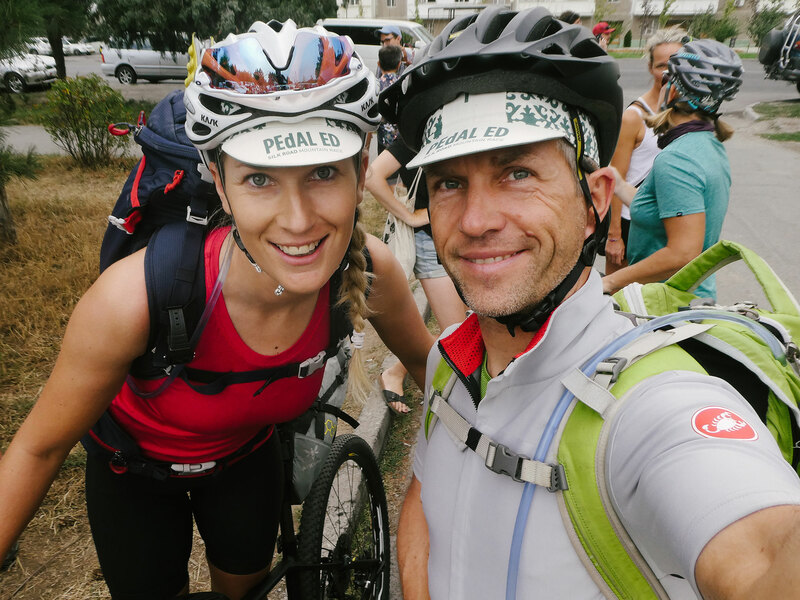 We wish them all luck on what is a fantastic, life-changing race.